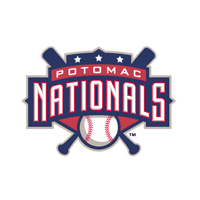 The Potomac Nationals (58-49, 20-18) and Myrtle Beach Pelicans (66-43, 22-19) took 16 innings to complete their series-ending contest at Pfitzner Stadium on Wednesday afternoon. The Pelicans completed the three-game sweep with a 10-6 victory over Potomac. CF Lewis Brinson’s 16th inning grand slam was the difference. The scoring started in the top of the third frame for Myrtle Beach when 2B Christopher Bostick and 1B Preston Beck smacked back-to-back doubles to take a 1-0 lead. Potomac tied it up in the fourth with a 3B John Wooten single that brought home LF Randolph Oduber. Oduber finished a home run shy of the cycle. Myrtle Beach took the lead right back in the fifth when Bostick doubled in 3B Luis Mendez. The scoring stalled until the final two regulation frames. The Pelicans exploded for four runs in the eighth off LHP Kylin Turnbull. C David Lyon started the rally with an RBI-single followed up three batters later by a Bostick two-run double that brought another run in on an error. Bostick collected three doubles and a single in the contest. The P-Nats refused to go away by countering with three runs in the eighth and two more in the ninth of a 6-1 game. Oduber tripled to the right-center field gap in the followed by a SS Stephen Perez RBI-groundout to make it a 6-4 game. In the bottom of the ninth, CF Isaac Ballou stepped up to the plate with two outs and a runner on base. Ballou took a fastball high and deep to right field off RHP Jose LeClerc (BS, 2) that left the park by about three feet to tie the game at six. Each team’s bullpen recovered for the extra innings. Stanzas ten through fifteen went scoreless until Brinson belted the grand slam in the top of the sixteenth off position player Khayyan Norfork (L, 0-1) who was in the game to pitch. Norfork tossed a 1-2-3 fifteenth using only a fastball, but Myrtle Beach got to him in the next frame. RHP Josh McElwee (W, 1-0) closed out the sixteenth to secure his win for the Pelicans. The Potomac Nationals Baseball Network, which is accessible at www.potomacnationals.com, will broadcast the first game of a three game series at Carolina on Friday, August 1st after enjoying an off day on Thursday. Broadcast coverage will begin with the P-Nats Leadoff Show at 6:45pm in preparation for the 7:00pm start. Pitchers for both teams are to be announced.